This watercolor & acrylic painting art lesson is inspired from a painting called “White Sound.” This lesson could be used with students 2nd through 5th grade. 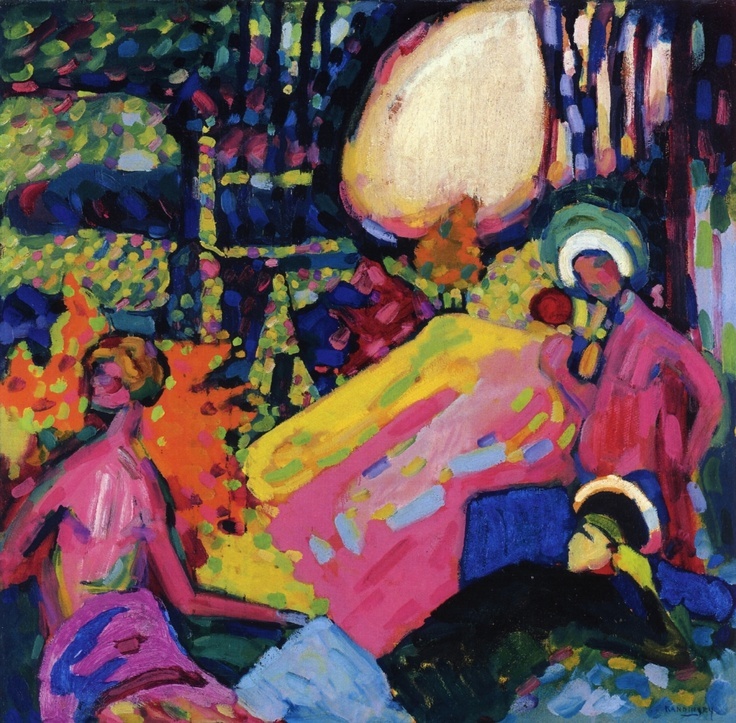 Procedure: We begin class with a facilitated discussion about the painting: White Sound by Wassily Kandinsky. The Visual Thinking Strategies, VTS approach uses a series of questions that help children with observation and listening skills to learn more from one another about art. What colors are in the painting? Do you notice any shapes in the painting? What thoughts do you think the artist had as he painted this painting? The painting is called White Sound—does that give you any ideas about the painting? What is white sound? what does it sound like? of or pertaining to the formal aspect of art, emphasizing lines, colors, generalized or geometrical forms, etc., especially with reference to their relationship to one another. (often initial capital letter ) pertaining to the nonrepresentational art styles of the 20th century. This VTS discussion is short—5-7 minutes to allow the children to get active with the making of art. 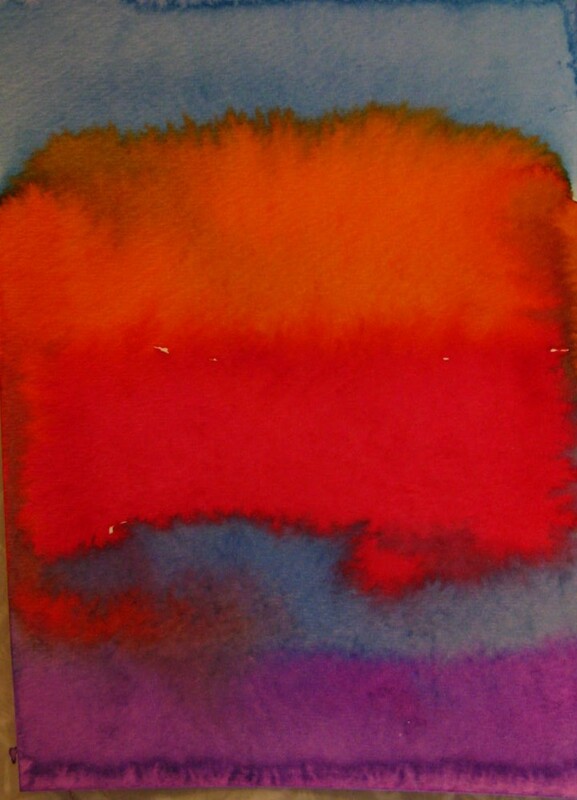 Demonstrate to the children using long even strokes for the watercolor wash. Children create a watercolor wash over a piece of 9” x 12” watercolor paper while listening to piano music. Then allow the papers to dry. If children finish quickly, have additional sulphite paper ready for painting. Next week, add the acrylic paints. 2nd week—Take a second look at the Kandinsky painting. Ask the children to share any details in the painting. What additional details do they see? Their answers may involve the color choices, the lines or patterns that they see. Each student will receive red, yellow, blue, and white paint on wax paper. They will get their watercolor paintings back to paint on with acrylic paints. Pass out a paint shirt for each student. Demonstrate the double loading technique of taking a dab of one color of paint and with the same brush adding a second color to the brush to create tints and secondary colors. Refer to the color wheel to show a visual of color mixing. 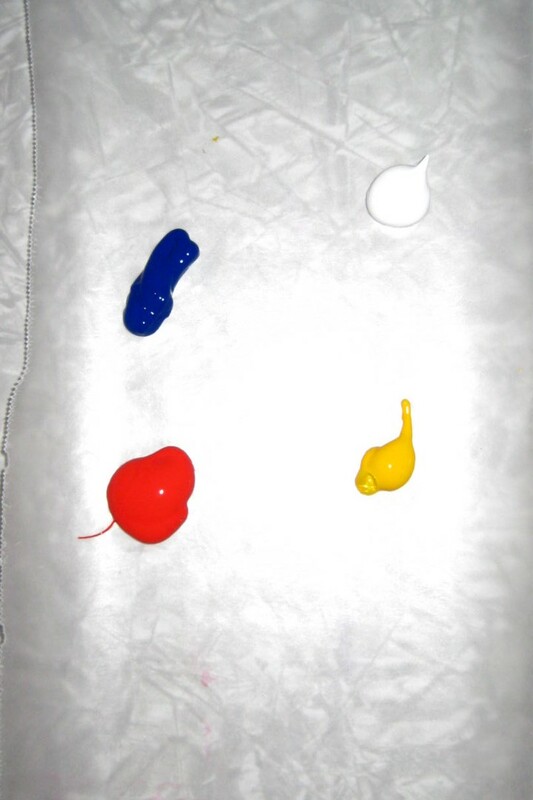 Then allow the children to explore and create an abstract painting. Allow them to create as piano music is playing. 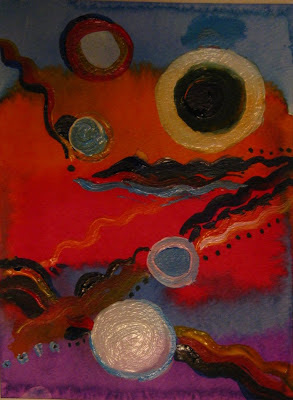 Painting with different types of music may inspire the children with different types of art. Enjoy the process.